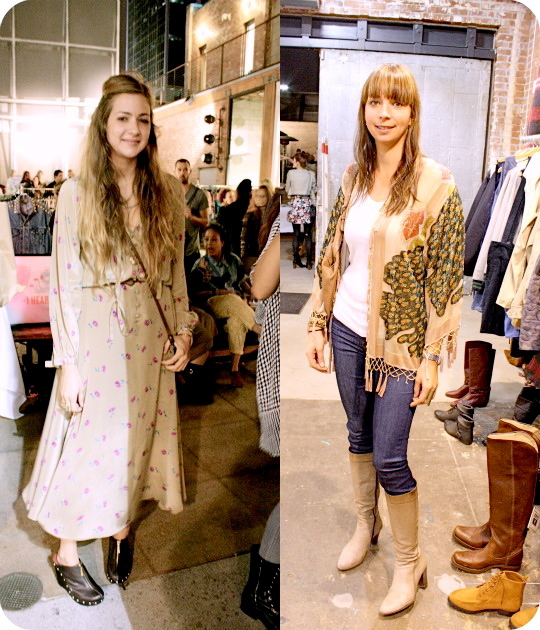 BOHO MARKET: LA Fashion Week Shopping Party! Los Angeles Fashion week began last week and the whole city is screaming fashion! I went to different events & Runway shows since last Thursday, and enjoyed so much the whole vibe of L.A. Fashion week. 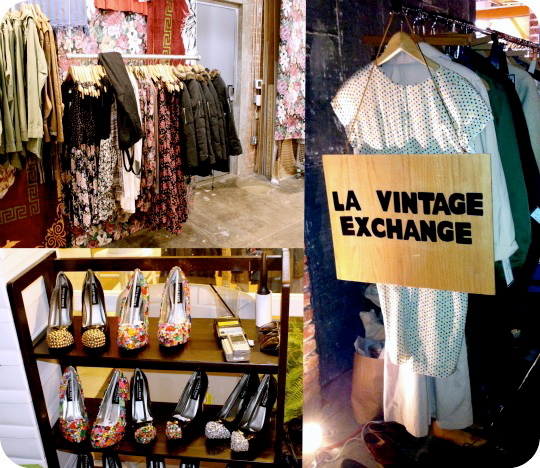 The first event I got invited was very nice, it was a shopping party hosted by Refinery 29, L.A. Vintage Exchange and Rossmore L.A. and the location was the cutest place in Los Angeles, Space 15 Twenty in Cahuenga, I love that place because is so Boho! Here are some of the lovely bloggers I met that night! Thank you girls you are awesome! There were so many lovely things to shop! Some looks from that night! Thanks girls! for such a lovely Shopping party! On another note, I'd like to thank all of you my lovely readers for the support on the H&M contest! I'm very happy for all the sweet comments I received on my work! Thank you so so much. Mil gracias a todos los que votaron por mi en el concurso de H&M!! Sus comentarios me hicieron muy feliz! 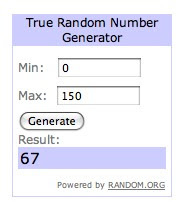 Also the winner of my latest Giveaway is Paini! I'd be getting in touch with her via email. La ganadora de mi sorteo del collar es Paini, me estaré comunicando con ella por email. Great photos! I love the shawl on the girl in the last pic! You have such a cute, cute, cute blog and I'm glad to meet you : ). Thanks for posting up the pics of me! and Kimberly was fun, too : ). Love all the girls! You look so cute holding the card, love your hair! Love this post! It looks like so much fun..I can't wait for the next posts about fashion week! Wow that looks like great fun! Wish I could have attended! So so great! Love the pics! Space 15 Twenty is PERFECT! Look at how beautiful those fashionistas are, thanks for sharing, and congrats to the necklace winnner, yayyyy!!!! I love the post and I love the blog!!! You look gorgeous! And the pictures came out so well! You, Crystal and I have to catch up again soon after all the LAFW chaos! Can't wait to see the pics! Btw, went to the Sachin + Babi trunk show...going to forward you some pictures. Thanks for sharing! I love all your photos!!!! Lovely pictures! Everybody looked so stylish! what a lovely event! Your artwork below is really amazing. I hope am not that late for the vote count! I love this post!! The looks are just perfect! Gracias por sus lindos comentarios!! Me alegra mucho que les haya gustado! :D besos! I just love your blog!!!! It looks like you had an amazing time - thanks for sharing your photos. Looking forward to seeing more! The gem pumps in the second photo in the bottom left are by Haus of Price and they are being sold at Solestruck! Wow! The shoes are amazing! Very pretty! You look very cute.